Not only does dog mess look and smell horrible, it causes stomach upsets, headaches and can even cause asthma and blindness. 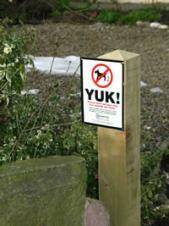 Help to keep your area free of dog mess by picking up a free Yuk! sign. The signs act as a reminder to the small amount of irresponsible dog owners to think of the health risks if they don't clear up after their pets. In accordance with Regulation 22 of the Town and Country Planning (Local Planning) (England) Regulations 2012, on 2 March 2018, Amber Valley Borough Council submitted the Amber Valley Borough Local Plan to the Secretary of State, for independent examination. 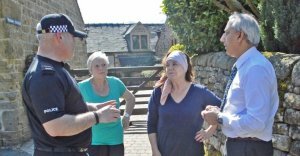 The County Council propose to make a new order under the Road Traffic Regulation Act 1984. Enclosed is an explanatory public notice.